Picture this. You’re with your kids or grand-kids in a COSTCO or Wal-Mart, when you hear gunshots and screams coming from across the store. From the terrifying sounds you know you only have a few seconds to get to safety, and an EXIT door is about thirty yards away. Do you have the physical conditioning, stamina, otherwise known as survival fitness, to grab the kids, pick them up if necessary, and run fast enough to escape with your lives? Or, would those extra pounds and flabby muscles slow you down to make a quick escape impossible? 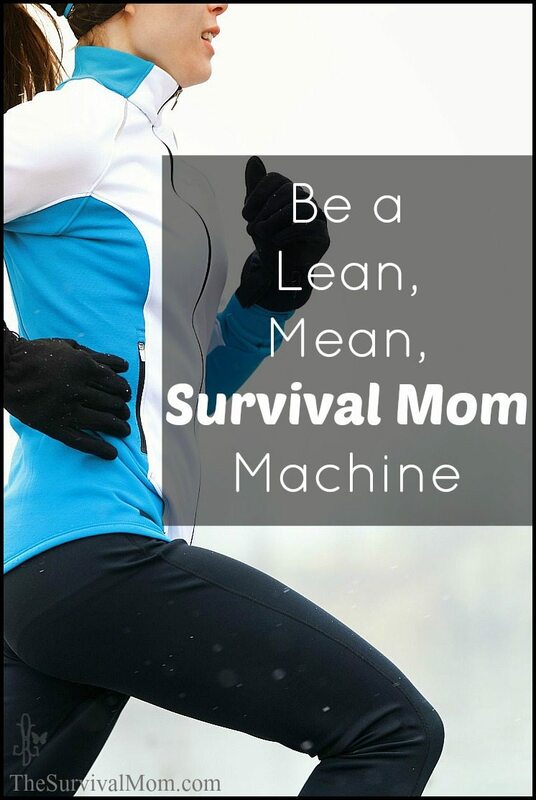 Are you a lean, mean Survival Mom machine? I’m the first to admit that a quick sprint across the store would be pretty difficult for me. I could do it, but it sure wouldn’t be impressive in terms of speed or style. I’ve missed way too many work-outs at the gym and have enjoyed far too many meals at the drive-through lately. I’m typical of millions of Americans, yet as someone who has preparedness as a top goal, I know that someday my survival may depend on being physically fit. The necessity of getting shape and building up my physical strength has been a big pill for me to swallow. I can’t tell you how much I hate exercising and every minute on the treadmill is torment. Even so, I’ve been working on improving my physical fitness. I’m not a runner, far from it, but I’ve been making a point of walking or bicyling as many days of the week as I can and doing a series of strength-building calisthenics (floor exercises). 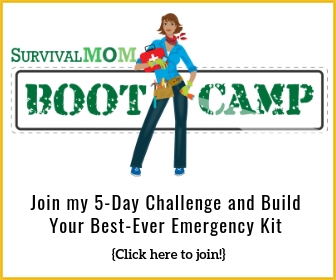 Simple lean, mean Survival Mom machine tips! When I feel like turning on the TV or plopping down with the latest Daniel Silva book, here’s what I tell myself. Upper body strength will help improve my target shooting. I’m setting a good example for the kids. They love physical activity, and I want them to keep that attitude. Stronger leg muscles are more attractive and much better for running from a dangerous situation. And also for kicking bad guys in the groin. As I build up my cardio-vascular system, my overall health improves, hopefully keeping me healthy for many, many years to come. Who knows what our health care system will look like in a few years, and I’d just as soon stay healthy and limit my dependence on the medical system. I am so vain it’s embarrassing. Heck, I just want to look cuter in my jeans! How about you? Could you depend on your fitness level to run fast and far if your life, and the lives of your children, depended on it? Building up our bodies to be as strong as possible and losing some of the pounds that slow us down is a survival and preparedness must. No, it’s not an easy step, and there are hundreds of excuses to procrastinate, most of them printed on restaurant menus! However, there’s a very powerful reason for Survival Moms to start today: our children. If you’re already in shape, let us know how you do it. If you’re on the journey toward physical fitness and being a lean, mean survival machine, hey, we’re on it together! 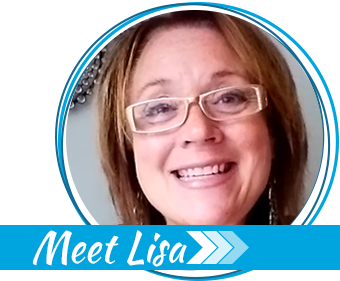 I’d love to hear about your plans for becoming the leanest and strongest Survival Mom you possibly can be! 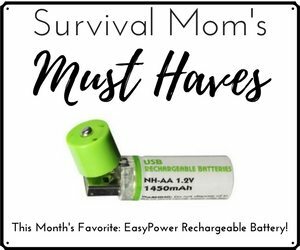 Join the Facebook group, Skinny Survival Moms here! 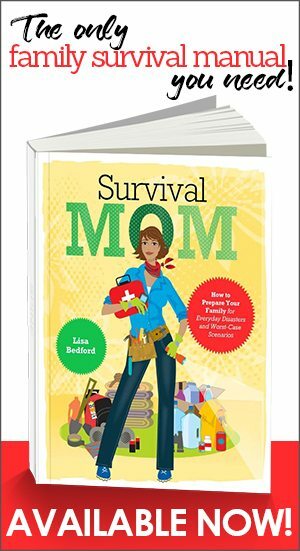 The Survival Mom interviews David Zulberg, author of The 5 Skinny Habits. This post was updated from the original posting on November 6, 2009. I wish I could find a basic workout routine for women. Not something that requires a gym and gobs of equipment and a trainer. Maybe a few weights. Have any ideas? Alright…I'll admit it…I could grab my kids and sprint…staying in shape is very important to me…but I hate to excersize and refuse to do more than 25-30 minutes each day…I find it too boring….so, what do I use and love??!! I own every Biggest Loser video! They are perfect for quick, yet very effective workouts with a little of everything…conditioning, toning, endurance, cardio, stretch, weights..plus they are broken up into 10 min, 15 minute and 20 minute segements…PERFECT! Another plus…real people are doing the workouts! Seriously, check them out…they work! I have bought all of mine for $10.00 or less…I'm hooked and no longer dread my workouts! Shannon, this might be what I've been looking for. There are so many fitness videos and TV shows out there that it's confusing. I'll get a Biggest Loser video this week and give it a try! I have multiple ideas for Liz, the commenter asking about a basic routine for women. 🙂 I’ll come back and post them. But the easiest thing on earth is to just start with body weight exercises – walking/running, sit-ups (or crunches) and push-ups. My husband (military and prep-minded) used to be “big” into power lifting and has instead changed over to this because it’s all that is actually tested by the military anyway – and he’s dropped minutes (yes, plural) off his tested run time from it. And if you’ve got a house with stairs, you’ve got a built-in “Stairmaster”. Laundry baskets can be used for deadlifts, kiddos in a backpack carrier make a great “ruck march” when you go for a walk. I’ve always been “skinny fat” (underweight but still not conditioned/toned) and have built my way up this summer/fall under the same concerns you address in this post. Thanks, Melonie. That's keeping it simple! I think I'd rather run/walk with a pack than do reps with free weights. Weight training gets boring, too boring to keep it up very long. Try things that fit into your preparadness plans. It would be useful to know how to build a structure from the foundation up, so learn by doing! Building a shed, enclosing a porch, installing a fence or remodeling a kitchen all burn calories keep your hands busy and teach you valuable skills that could come in quite handy in an emergency. If you always hire this stuff out or get the guys to do it, you never learn the skills you may someday need if God forbid, he is not around. Even everyday home repairs/decorating can build muscle, I routinely (3-4x a yr) move furniture around in my living room trying to get a better flow (hubby claims I am Helen Keller's worst nightmare) Heavy duty landscaping work and gardening has taught me about my land as well. This kind of activity combined with eating only when I am hungry has kept me at 5'4 and 110 through 5 kids! Who needs fitness machines! Jeni, that is excellent advice. As long as we're in a preparedness mode, we might as well combine physical exercise with learning new, practical skills. Thanks for the comment! Very informative posts and stories here. Much appreciated! I love the new wii fit! It makes you work your booty off,but is so fun and interactive you don't realize your loseing weight and inches. It is also great for cardio. I've been running 3 to 5 times per week with a friend for the past 3 months. It's not easy getting up at 4:30 for this, but it gives me more energy throughout the day, which is great. It has also really built up my endurance. We ran 5 or 6 miles this morning and it was a breeze. I started going to the gym about a month ago so I can start building muscle. It's hard to get there, but once I'm there I really enjoy it. And watching your body transform/tone up is a really great motivator. After a lifetime of being heavy (even as a kid), I was well aware that I could not run or climb stairs if my life actually depended on it. I committed to getting healthier and made a lot of changes, but once I became a mom, I found it very hard to find the time and a workout that worked with her schedule but I found Stroller Strides when my oldest was 11 weeks old (she’ll be 3 soon) and I highly recommend it for any mom who is in a similar boat wondering how they can workout with babies/toddlers. Stroller Strides is one of the best things that I have ever been a part of, I loved it so much that I became an instructor and then a franchisee (full disclosure). You can find a franchise in your area on their website fit4mom.com. Whether you’re 16 or 63 (like me) it’s so important to take care of yourself. Weigh yourself everyday. It’s easier to lose 3 pounds than 30. And exercise! Don’t wait for motivation. Motivation won’t get you there. Schedule exercise into your daily routine, and make it as important as going to work or cooking dinner. I have a standing 2:30 gym workout scheduled into my day. It’s non-negotiable, whether I ‘feel’ like going or not. Once I’m there, though, everything clicks and I’m glad stuck to my schedule. It’s important to include strength training as well as cardio in your routine. They work together and one without the other is an incomplete workout. Besides, strength training is the BEST way to prevent osteoporosis. And no, ladies, you won’t bulk up like a guy. Change your routine often. If you keep doing the same things all the time, your muscles will become accustomed and you won’t get the full benefit of your efforts. Wow… sorry. Didn’t mean to go on and on, but this is a subject I’m avid about. Exercise is the best medicine for almost everything. There’s just no down side to it. My husband and I started karate lessons almost seven years ago. At the time, we just wanted a hobby that didn’t involve sitting around and watching TV. Today, both of us are black belts, but more importantly, we are prepared. The #1 thing unprepared people do in a physical confrontation is freeze. Karate teaches you to act instead of waiting to be acted upon.